A very smart folding cane suitable for everyday use. 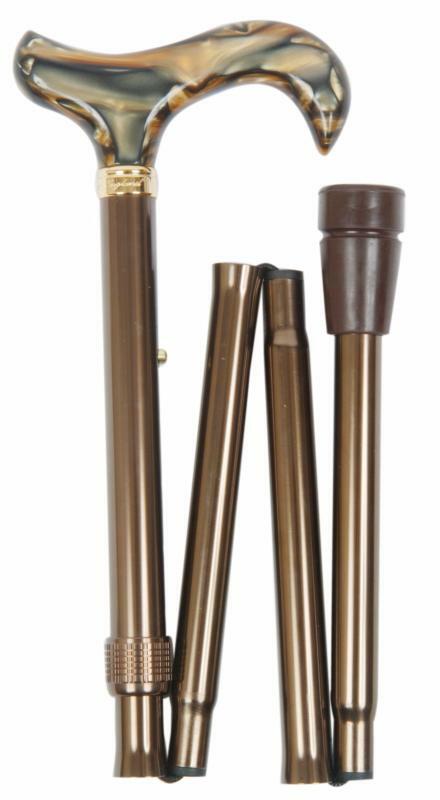 The supportive derby handle is made from smooth acrylic which is very pleasant to hold and marbled tortoiseshell brown in colour. The handle is convenient to hook over the arm when the stick is not in use. The brown aluminium shaft is both lightweight and very strong, and is height adjustable between 82-92cm (approximately 32"-36").